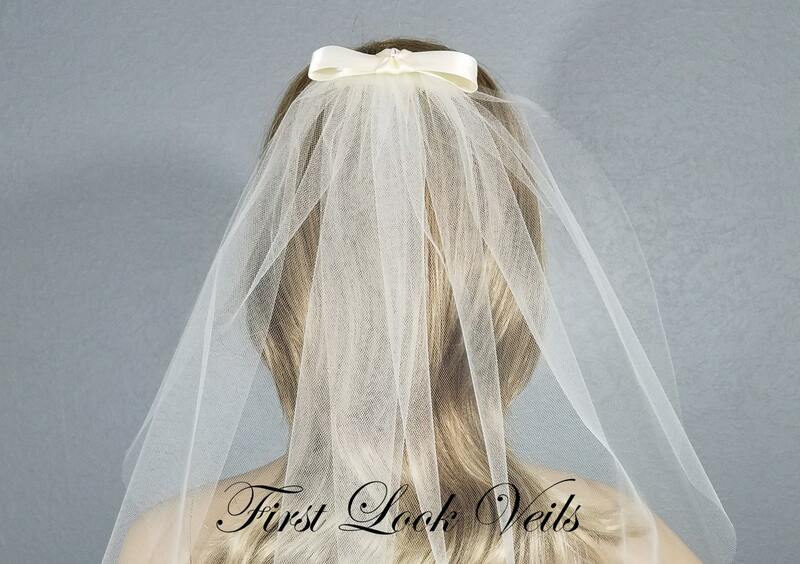 STYLE: This elegant, soft one layer handmade traditional bridal veil has a raw edge and attached designer bow. 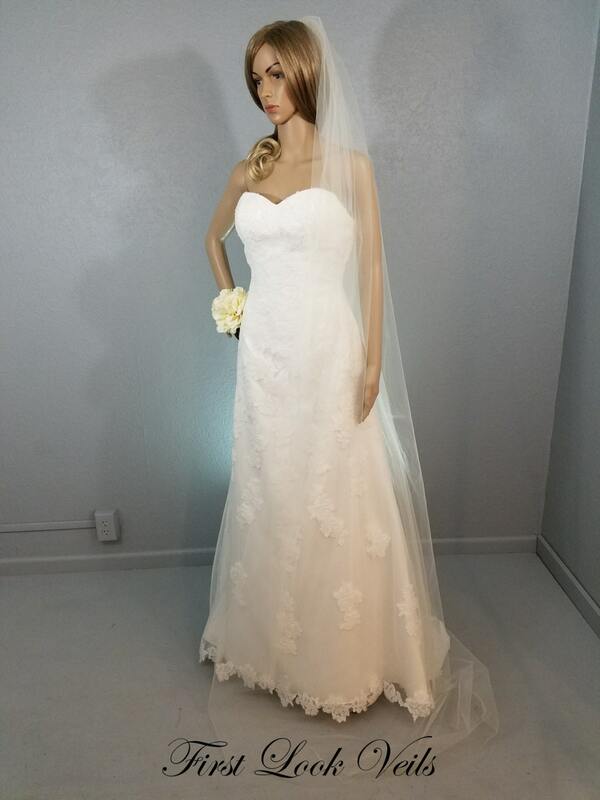 This veil can be made in any length (see dropdown options). The Ballet, Chapel, Cathedral and Regal length veils are designed from 90 inch wide Bridal Illusion tulle. All others are 72" wide. 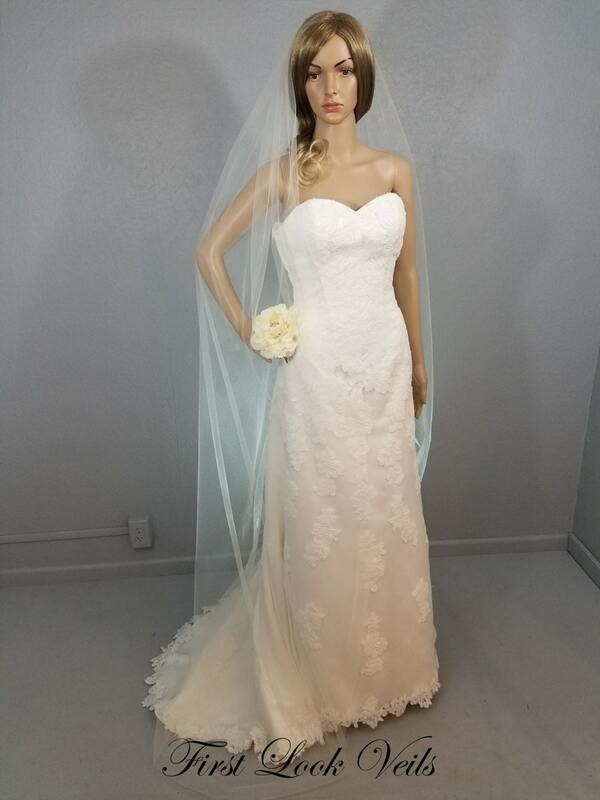 COLOR: We offer this veil in Black, White and Ivory. Please indicate color choice in comments on order. 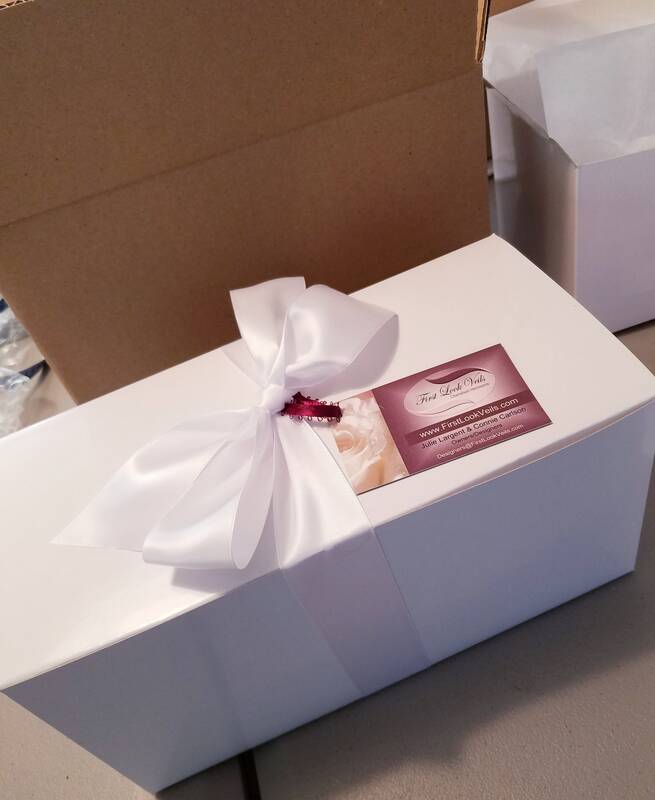 If there is no color choice stated your order will be made from Ivory tulle. 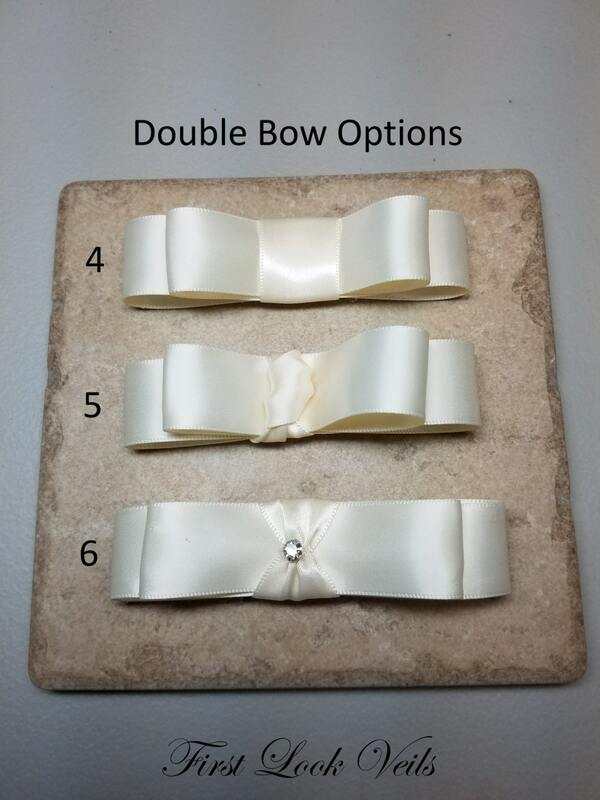 ADD A BOW: Any of the double-faced, satin four inch bows may be attached to this veil length. See options on Pictures 4 & 5 above and choose the one you want from the drop down box. The price shown includes the veil and attached bow. The bow will match the color of the veil. 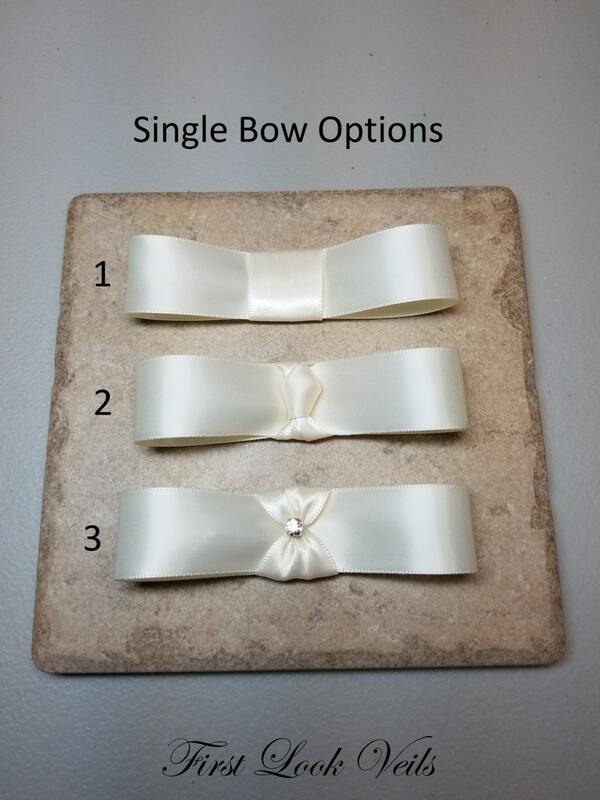 If you would like one of these bows in a different color, please convo us with your request.